The most cost effective way to get your message out. 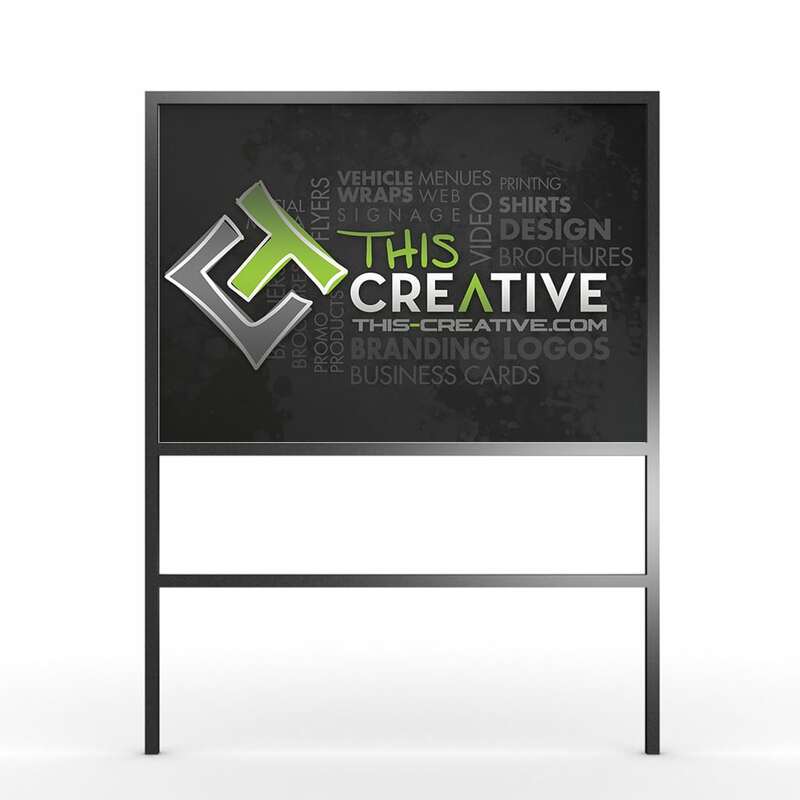 We use a lightweight corrugated material with a full color graphic printed on each sign. Get your signs 1 or 2 sided. Use these yard signs on a metal stake or let us put grommets in them for hanging.